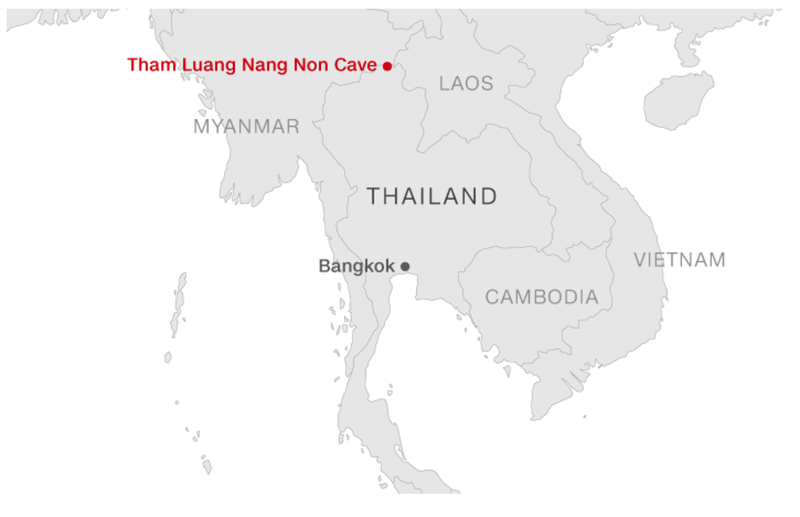 There are 12 boys and a coach (13 in all) trapped about 2 kilometers (1.2 miles) into the cave and 800 meters to 1 kilometer (0.5 to 0.6 miles) below the surface. 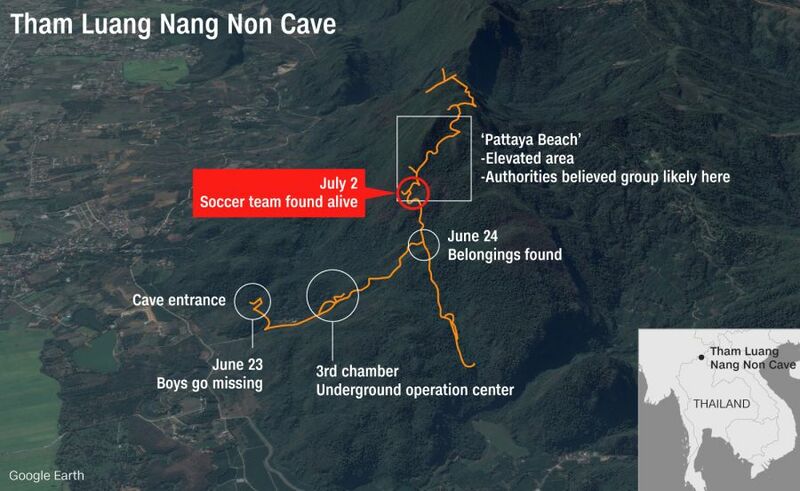 The boys and their coach were believed to have taken refuge in a large, deep chamber, informally known as Pattaya Beach. The Thai NAVY Seal released a video that appears to be the very first moment when the trapped boys were discovered. Rescuer: How many of you? Rescuer: 13, Brilliant! We are coming, many people are coming. Many people, we are the first. Boys: Asking what day it is. Rescuer: Monday, you have been here 10 days, 10 days. You are very strong, very strong. We come, ok, we come. From start of Chilean mining accident to start of Thailand cave incident. From the end of Chilean mining accident to the start of Thailand cave incident. From start of Chilean mining accident to start of Thailand cave incident 2879 days.